Something that many people do not know about Shelley is that she used to own a gym and it started her on a health and wellness journey she still enjoys today! Shelley has only been in the Linn-Mar District for the last two years, but has really been enjoying her time helping improve the school district that her children attend. She lives with her husband Brandon, and they have three children, Colyns, who attends Echo Hill, and Addyson and Anders who be attending Linn-Mar schools in the years to come. 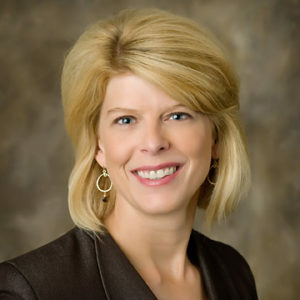 Shelley is originally from Dyersville, Iowa, and received her Undergraduate Degrees in Business Administration and Finance/Real Estate as well as an MBA from Tippie College of Business through the University of Iowa. She now is the Treasury Management Officer for Farmers State Bank. In the next five to ten years, Shelley hopes to see the passing of the bond that would allow for the expansion of the Linn-Mar District. Barry was raised in Iowa City, Iowa and is a big Hawkeye fan! 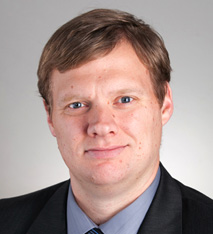 He graduated from Wartburg College, and now is an Accountant and Business Consultant for Terry, Lockridge & Dunn. For the last fifteen years, Barry and his family have lived in the Linn-Mar District; Barry and his wife Chris have three children, Zach, who attends Kirkwood, Alex, who attends Linn-Mar High School, and Jaycee who attends Excelsior. One interesting thing to note about Barry is that he numbers his socks so he can always have a matching pair! In his free time, he likes to golf and spend time with his family. Barry became a part of the Linn-Mar Foundation to assist in enhancing the educational opportunities for Linn-Mar students, and in the future he hopes to see the district continue to be a leader in forward thinking and STEM opportunities for students. Don and his wife named Amy have five children, three who attend Novak Elementary School and have been active in the Linn-Mar District for the last 10 years. 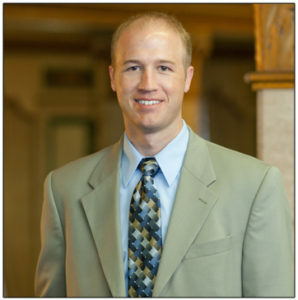 Originally from Belmond, Iowa he received an undergraduate degree in Accounting & Management Information Systems from Iowa State University and a Juris Doctor degree from the University of Iowa College of Law. 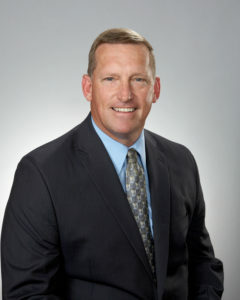 Don serves as the Foundation Board Treasurer and is an Attorney and CPA with Shuttleworth & Ingersoll, PC. Don is active on several community boards and joined the Linn-Mar School Foundation as a way to help support on of the fastest growing, top rated districts in the state. Missy has spent the last twenty five years in the Linn-Mar District! 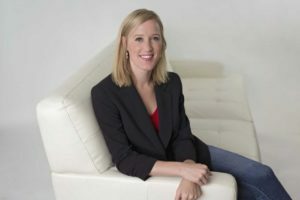 She grew up here in Marion, and now continues to live here with her husband Trent, and her children Blake and Ellie who both attend Oak Ridge. Missy graduated from Mount Mercy University and now she works at Rockwell Collins. In her free time, she enjoys cooking and baking, as well as watching sports. Missy is a self-proclaimed sports nut, she loves baseball, football, and basketball. She and her husband are both alumni of Linn-Mar High School and now their children also attend Linn-Mar. This connection caused her to become a part of the Linn-Mar Foundation to allow her to continue to support the district and make it the best experience possible for her kids and all students to come. Rob, his wife Kelly, and his children are fairly new to the Linn-Mar District. Rob grew up in Portland, Oregon and he has been in the district for the last five years. All of his children attend schools in the district, Owen attends Excelsior, and Hayden and Corbin both attend Linn Grove. Rob earned his Undergraduate Degree from the University of Oregon, and his Graduate Degree from Tennessee Technological University. Now Rob is the VP of Human Resources for Ruffalo Noel Levitz. In his free time, Rob likes to spend time with his family and friends, traveling, going to waterparks, and spending time outdoors. Something many people do not know about Rob is that he authored a business book! Rob decided to become involved in the Linn-Mar Foundation to help provide continually growing and evolving educational experiences for district students. 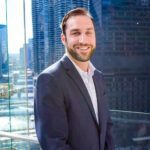 A graduate of Linn-Mar’s Class of 2006, Jason joined the Linn-Mar Foundation board in 2017. He and his wife Hayley live in Marion and Jason is Regional VP of Primerica in Hiawatha. As a student athlete at Linn-Mar, Jason was named “Mr. Basketball”, Gatorade Player of the Year and three year Iowa Newspaper Association All State first team selection and set many school and state records while on the court for the Lions. He went on to play basketball for Wisconsin and in Germany. Jason appreciates the outstanding level of educational excellence in the district and wanted to be involved in his alma mater who gave so much to him and his family. Joining our Foundation board in 2018, Matt and his wife Ann have three daughters who attend Linn-Mar schools. Proud of the excellent education students receive in our district, Matt wants to support our classrooms & teachers by helping provide additional resources to benefit all students. Matt attended Coe College earning a B.S. in Education and Mt Mercy University graduating with a Management/Marketing degree. He is an Agency Manager with Farm Bureau Financial Services and spends his time as a volunteer coach and Junior Achievement volunteer. In his down time, Matt can be heard cheering loudly for the Duke Blue Devils, coaching youth AAU basketball, exercising and taking in all of his children’s activities and events. Joy has spent the last 10 years in the Linn-Mar District with her family! She originally is from Clear Lake, Iowa, but now she lives in Marion with her husband Steve and their three children, Alexa and Fletcher who both attend Linn-Mar High School and Ian who attends Oak Ridge. Joy graduated from the University of Iowa with a Degree in Nursing, and works at St. Luke’s Hospital. In her free time, Joy likes to spend time outdoors, reading, loves to travel and spend time at the beach! Joy first decided to become a part of the Linn-Mar Foundation because she wanted to make more opportunities available to all students. In the next 5-10 years, she wishes to see the high level of academic excellence continue within the district. Matt is a proud Linn-Mar alumnus and has many siblings and cousins who have called Linn-Mar home for decades. He graduated from the University of Iowa and today Matt and his wife Jenny are part of his family’s company Skogman Homes and reside in Marion. Outside the office, he enjoys spending time with friends, playing basketball, and traveling. When asked what he would like to see happen within the Linn-Mar District in the future, Matt says he would like to see Linn-Mar continue to be the area’s best school! Lance and his family have lived in the Linn-Mar District for thirteen years. He grew up in Fredericksburg, Iowa, and later graduated from Coe College and the University of Iowa. Today, Lance works for Rockwell Collins and lives with his wife Julie and two kids, Sadie and Chase, who attend Linn-Mar High School and Oak Ridge. In his free time, Lance likes to travel and exercise. He is often told that he looks remarkably like Woody Harrelson, (we will let you decide for yourself! ), and he also enjoys quality time with his family and friends. Lance became involved in the Linn-Mar Foundation because he was interested in becoming more involved in the local community. In the years to come, he wishes to see more of the same continue, giving the district’s students greater opportunities to become prepared for what lies ahead. Tim is a proud alumnus from the class of 1993! Tim joined the Foundation board at the start of the 2018-2019 academic year. He is excited to be able to support the Foundation’s mission and help offer expanded opportunities for our students. Tim attended the University of Iowa (Go Hawks!) and is a Regional Manager for Toynk Toys. He and his wife Lesley returned from the Chicago area to raise their family in Marion and attend Linn-Mar. They have two daughters who attend Novak Elementary. In his spare time, you can catch Tim sweating it out on the basketball or tennis court or reeling the fish in on a good day. Rick was first drawn to becoming a part of the Linn-Mar Foundation when he saw the high level, quality education that the schools provide for their students, and he wanted to help fund their programs and curriculum needs. Rick and his wife Tonya, have lived in the district for 15 years! He has two kids, Peyton and Taylor, who both still attend Linn-Mar schools, as well as four adult children Stacy, Erin, Meagan, and Michelle, and from these girls, he has 9 grandchildren! 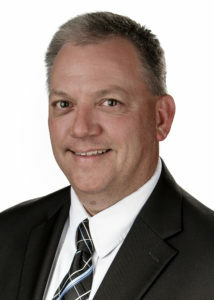 Rick grew up in Mechanicsville, Iowa and graduated from the University of Iowa with a BA in Finance. He now works for Farmers State Bank. In his free time, he likes to hang out with his family, attend sporting events, and coach youth sports. In the future, Rick hopes to assist the Foundation in continuing to address the needs that come up the growth of district. Kären is originally from Dubuque, Iowa and has lived in the Linn-Mar District with her family for the last 15 years. Kären and her husband, Mark, have two children Sam, who attends the high school, and Nate, who attends Excelsior. 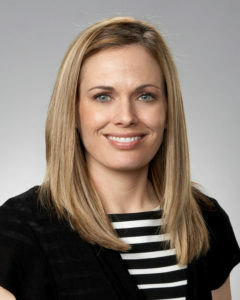 She attended Cornell College for a year and then went on to the University of Iowa for her Undergraduate Degree and then attended the University’s College of Dentistry. 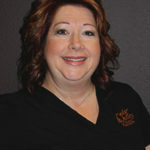 Kären owns Cedar Valley Family Dentistry in Marion. One little known fact about Kären is that she drove the Cambus at the University of Iowa! In her free time, she relaxes by spending time with her family and friends and exercising. Kären says she enjoys being a part of the Linn-Mar Foundation because she really enjoys seeing the students benefit from the Foundation’s fundraising efforts. 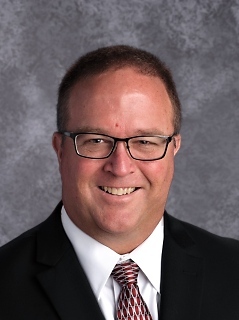 Shannon Bisgard began his role as Superintendent for the Linn-Mar Community Schools at the beginning of the 2018-2019 academic year. He is certainly no stranger to our district and a very proud Linn-Mar Lion! Shannon and his family came to Linn-Mar back in 2003, when he became the principal at Bowman Woods Elementary. In 2007, he was chosen to be the first principal at the new Linn Grove Elementary. 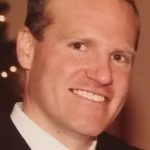 His strong leadership and mentoring skills led him to the Grant Wood Area Education Agency (AEA), where he was a Regional Administrator from 2013 to 2015. He returned to Linn-Mar in 2015, when he was named Associate Superintendent. 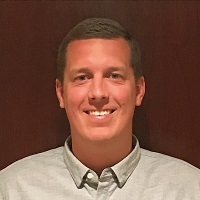 Previous in his education career Shannon was a 5th grade teacher and Middle School and High School coach in Newton, Iowa. He was also an elementary principal in Independence and Newton. Shannon and his wife, Diane, are the parents of three children. Their youngest daughter was among the graduates of the Linn-Mar Class of 2018. Shelley proudly serves as the Foundation’s Executive Director a position she has held since 2010. 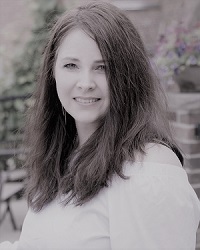 Her role includes many facets, fundraising, event planner, development, marketing, grant writing, donor relations, board development and much more. Shelley and her husband Jeff have lived in the Linn-Mar district since 2002 and have a son Jackson who graduated in 2018 and attends the University of Iowa and a daughter Olivia who is a sophomore at Linn-Mar. Born and raised in Cedar Rapids, Shelley graduated from Coe College with a degree in Business and Economics. A self described HGTV & DIY Network junkie, she enjoys dreaming she too can be Joanna Gaines. In her spare time she enjoys relaxing with her family and friends, bike riding, reading, traveling, volunteering and taking in great community & music performances. Shelley is excited to be a part of an organization which helps further support the educational excellence we value in our district. Sheri was born and raised here in Marion and graduated from Marion High School where she attended “The Last One Ever”…if you are as old as she is and were from around here you understand this reference. Though it made it a little harder to put on the Linn-Mar Red and Black, she proudly to wears it today! Sheri went on to graduate from The American Institute of Business with an AA in Executive Administration. 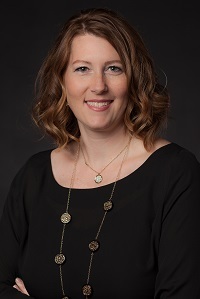 She is the Office Administrator for the Cedar Rapids office of Farm Financial Strategies whilst also enjoying the opportunities here at the Linn-Mar Foundation. Sheri and her husband, Mike, have lived in the Linn-Mar School District since 2002. They have 3 beautiful and BUSY children, Braedon, Noah and Scout. Sheri volunteered for many years at Linn Grove Elementary and served as Treasurer for the PTO. In her “free” time she loves running the kids around to their various activities, anything on Food Network TV and good times spent with friends and family.